#TeamRed did it again: we successfully travelled by train through the Balkans, this time from the city of Novi Sad all the way to Zagreb, the capital city of Croatia. As soon as we took a step off the train, our lovely hosts from AEGEE-Zagreb were already waiting for us ready to feed our demanding stomachs. 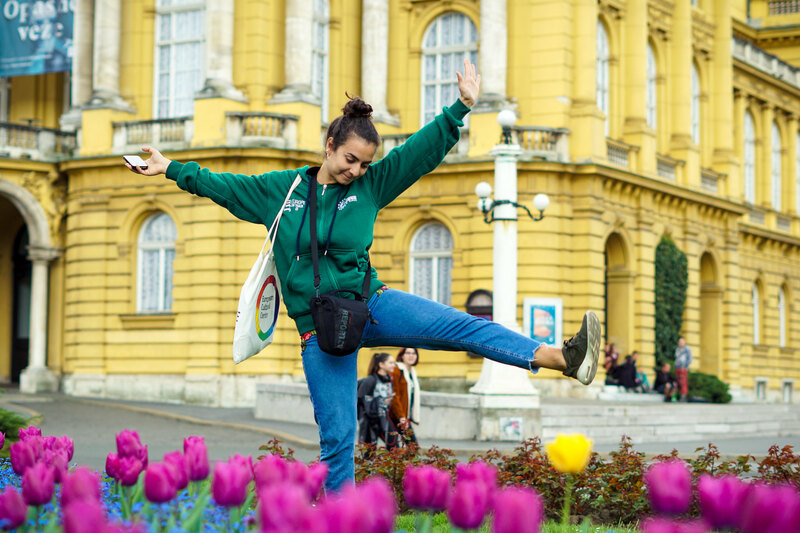 As both Zagreb and Novi Sad – our previous stop – once belonged to the same country (Yugoslavia, for those who do not feel like googling it), there are clear cultural and linguistic ties between both cities. Zagreb is also known as the ‘city with a million hearts’, as the heart is a recurrent symbol of the city. We could see that also represented in our hosts, who kindly took care of all of our needs during our stay there. We tackled two main topics during this stop: migration and youth participation. 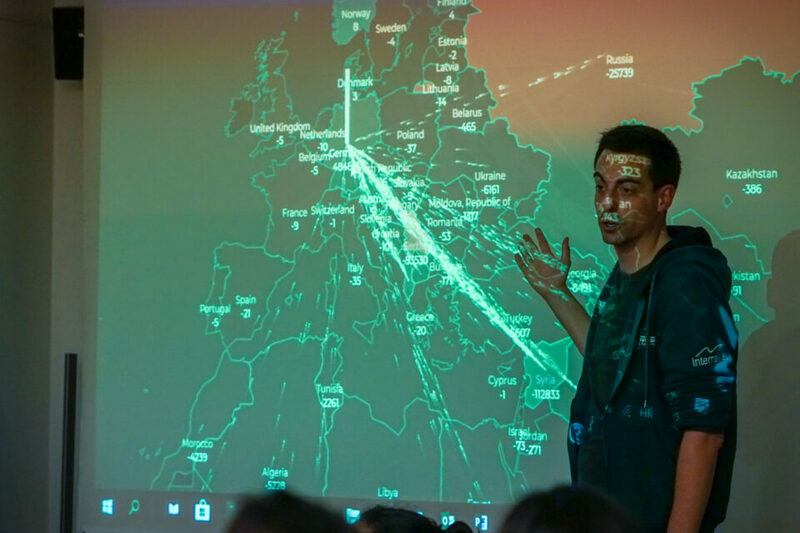 When it comes to the first one, it was unavoidable to draw parallelisms with our stops in Ankara and Eskişehir, where we also tackled that topic. The results of the workshop clearly displayed the different realities in Turkey and Croatia when it comes to migrants. Whereas in the first one only refugees already account for 5 million people in the country, in the latter one the percentage of Croats is a 90%, which is translated into a particularly homogeneous country. However, as we learnt during our workshop, migration is also a hot topic in political discussions there. 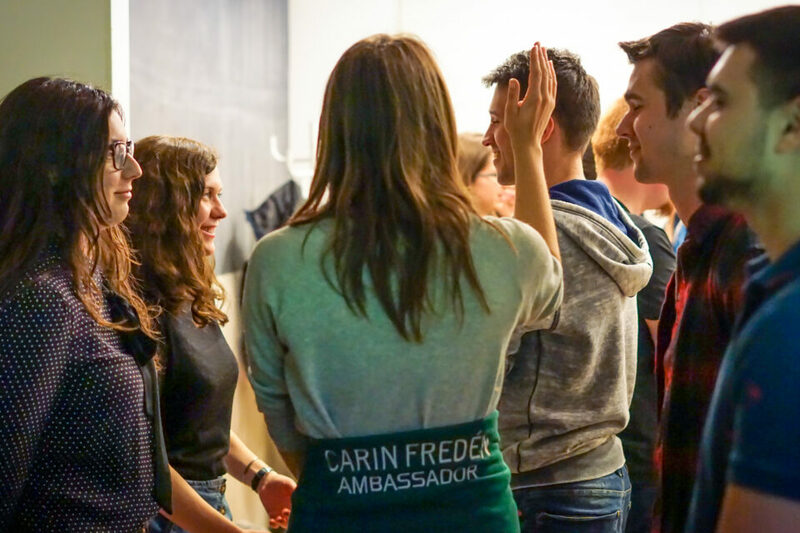 Youth participation was debated through a one-day-conference organised along with JEF Croatia in one of the university facilities (for the nostalgic AEGEEans out there, in the same building where EPM-Zagreb took place). After a first workshop held by JEF tackling the European Parliament elections, we proceeded to deliver our session. As most of the participants where members of either AEGEE or JEF, the final results of the workshop showcased a strong opinion on the participants’ side arguing for the need of a stronger and more active European youth. Our interviewee Mirna expressed a highly interesting point regarding the apparent lack of Eurosceptic attitudes in Croatia, and that is the fact that it has only been almost 6 years since the country is a Member State of the EU. However, she also underlined the necessity for more participation among young people, particularly for the EP elections, where youth participation rates in Croatia are particularly low. We took the opportunity to interview the young volunteers from JEF Croatia as well, who emphasized the need for better-informed young people when it comes to effectively influencing European politics from the youth perspective. Speaking from the perspective of civil society, they additionally stressed the relevance of proposals and recommendations for decision-makers. Do not miss our next article straight out of Hungarian lands!